Customer service is undoubtedly all about enhancing the customer experience. This is done so by resolving issues in the friendliest, most efficient and effective manner, which is a necessary factor in the sales funnel. From a content marketing perspective, understanding what your audience wants and needs is just as important as marketing your goods and services. Delivering a superior content experience should always be your end goal when planning your marketing strategy. So how do you get there? In this edition of Content Marketing Weekly, we’ll take a look at ways you can use content marketing to improve your reach for your audience and improve the overall customer experience. It should come as no surprise that digital ads are becoming more impactful than commercials or print advertisements. Trends dedicated to tech are only going to expand, so it’s imperative to follow suit and transform with the landscape to better reach your audience. Segmentation is ideal for accomplishing this. With segmentation, your business has the ability to adapt to change and communicate better with your audience in the future. Read the article by Marketing magazine in its entirety here. With nearly 1 billion active accounts, Instagram is much more than nostalgic image-sharing. Today, it’s used by brands all around the world looking to market their brand, expand their reach and enhance the experience for current customers. Beyond posting pictures to create a flawless grid and making sure your bio is stacked with your contact info, taking advantage of Instagram Stories is a must. According to Social Media Today, as of June 2018, Instagram Stories now has more than 400 million active users on a daily basis, up 100 million since November 2017. With this fun feature, you have a unique opportunity to interact with your audience. You can share pictures and videos, but you can also utilize polls and place question stickers within your story to inspire viewers to engage with your brand. Getting to know them via social media makes it convenient to contact you, but also helps paint a clear picture of what your audience likes/dislikes or wants to see more/less of in your feed. Instagram Stories makes it very easy to connect with your audience in a natural, non-salesy way. Learn more about visual marketing in this blog post by Agiliron. Is Content Experience the Evolution of Content Marketing? Creating superior content means nothing if there’s zero concentration on delivering the ultimate content experience. How will your audience react to what you’re creating? How will it benefit them? What kind of experience will readers and viewers have while dedicating time to your content? These are questions to consider during the content production process. Anyone can invest in a content marketing strategy. But what’s the point in making the effort if one of your end goals doesn’t involve enhancing the customer experience? Customer reach is vital, and unfortunately, not enough content marketers are making this effort. According to research by the Content Marketing Institute, only 42 percent of content marketers have conversations with customers during the initial research stage. Nearly 75 percent seek feedback from the sales team for audience research, and 65 percent use keyword research. Putting effort into customer reach before content hits your website is essential. Communication is key, especially in the initial stages of the content marketing planning. Read the full story on Diginomica here. As always, thanks for stopping by! 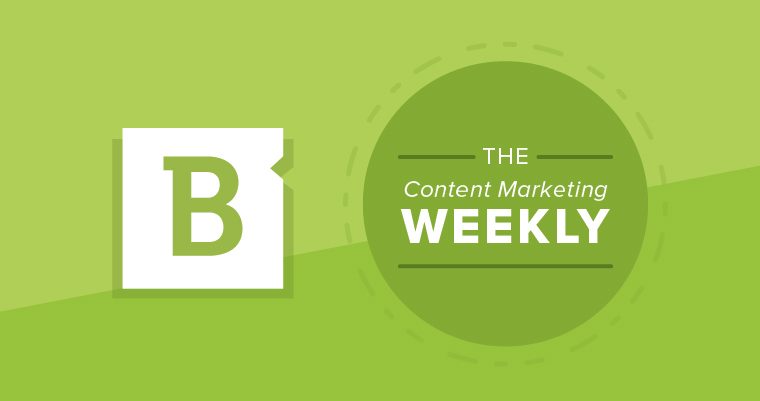 Catch up on the latest and greatest in content marketing news again next week. Chelsey Church is a senior writer and editor at Brafton. When she's not turning her thoughts into copy, she's enjoying a craft beer, playing with her dogs or listening to her favorite metal tunes. A Cleveland native, she'll never let you forget that the Golden State Warriors blew a 3-1 lead. Content Marketing Weekly: Does Google personalize Incognito search results?